Judging from its New York debut at the Joyce, you might think the Polish National Ballet to be one more compact, highly skilled post-classical ballet company that draws choreography from a shared pool of European choreographers, in addition to staging works by its own artistic director, Krzysztof Pastor. But the company numbers 90 (though a fraction of that performs in New York) and counts in its rep major story ballets such as La Bayadère and Don Quixote. Another case of perhaps meaning well in tuning the chosen repertory to the modern eye, but perhaps missing a chance to show its true artistic depth, which is most likely economically untenable. That said, I confess that I was lured to see PNB in by Emanuel Gat's Rite of Spring. Its five dancers move through Gat's simmering, undulating salsa steps in crimson light that enhances a red rug defining the action hotspot while adding a note of domesticity. Robert Bondara and Kurusz Wojenski lack the feral quality of Gat and Roy Assaf (Gat's original cast), but with Marta Fiedler, Aleksandra Liashenko, and Karolina Sapun they weave the movement crisply and fluidly to the recorded orchestration of Stravinsky's score. It remains a hypnotic, inexorable ritual driven by primal instincts. There's no doubt that the company's technical skills are topnotch, as seen in two works by Pastor. 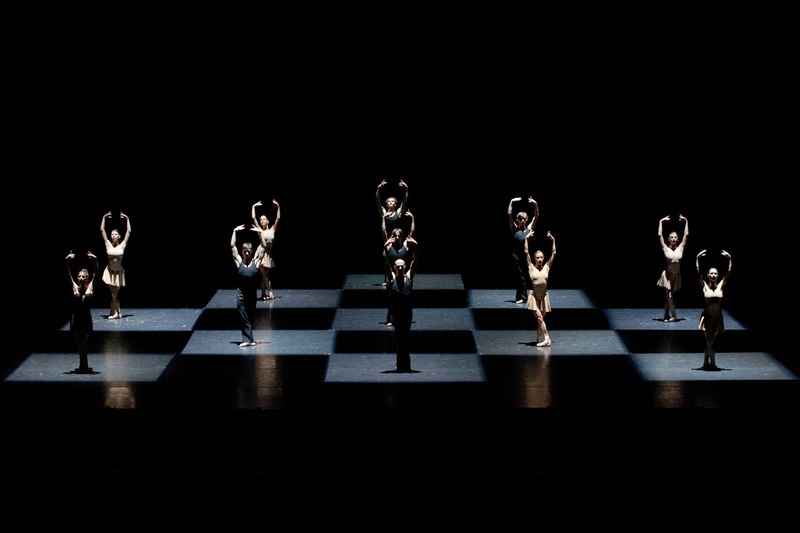 Adagio & Scherzo (2014), to Schubert, is danced in front of Rothko-like painted designs by Malgorzata Szablowska. The vocabulary favors ballet steps pushed to the extreme—thwacked split extensions, straight arms with broken wrists, forced arch tendus, tensile with angst. 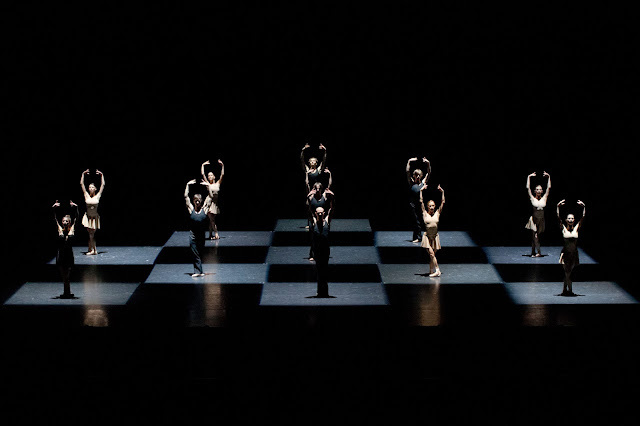 Moving Rooms (2008) features a light-carved checkerboard and other geometric shapes by Bert Dalhuysen; the dancers stand like chess pieces, and unfortunately give off about the same emotion. The chosen music, by Schnittke and Gorecki, included violin and organ passages that swelled to a cacophony, underscoring the extreme seriousness of the proceedings. Even a tango-inspired passage did little to alleviate the building sense of oppression. The movement by these dancers is inarguably beautiful, but in its repetition came to feel like a gymnastics competition, with little nuance or dynamic shift. The run raises a perpetual question—how can an out-of-town company such as Polish National Ballet show its full wares in New York? It might have brought two programs, including some classical fare, or substituted a classical dance for one of the two by Pastor. Even adding a short pas de deux might have provided some depth for those of us new to the troupe. It is certainly clear that the dancers are impeccably trained and physically gifted. Perhaps their next trip to New York will provide some depth.